Shawn Stewart is a country singer from Columbus Ohio. He is the lead singer of 23 Southbound and also a solo artist. Did you know 42% of the children living in the Village of Buckeye Lake live in poverty? The Buckeye Lake Library, which relies SOLELY on donations, provides these children free access to a wealth of information they often can't find elsewhere. Our annual Polar Plunge is crucial to their budget. Join in the fun, get pre-registered and help us raise money for this awesome group! Winery opens at 11, costume contest at 12, Plunge at 1, and so much more! This will be an evening you won’t want to miss! Grab a friend, and get ready to spend an evening up close and personal with this Nashville singer songwriter - Brice Long! 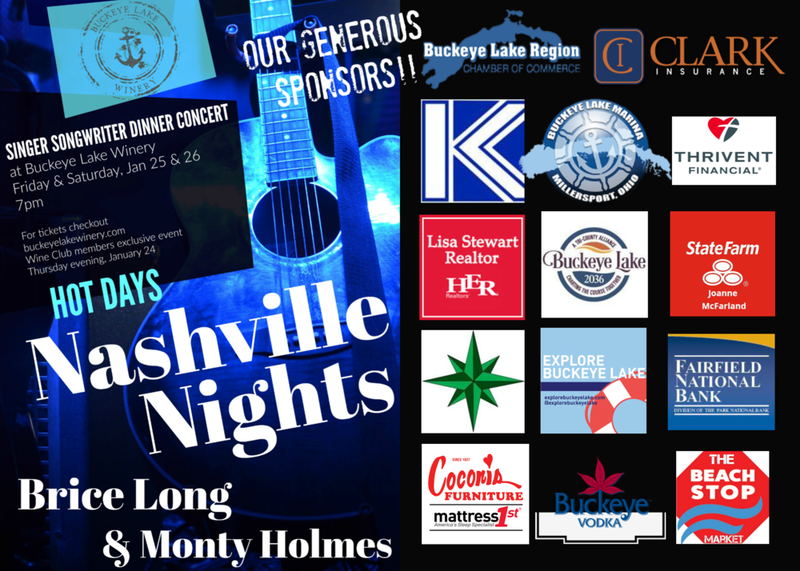 Brought to you by Buckeye Lake Winery and our fabulous sponsors! Please visit our co-hosts pages and say thanks! Brice’s current single on the country radio charts is Jon Pardi's "Heartache On The Dance Floor" In 2015 Brice topped the charts with Randy Houser’s “Like A Cowboy”. The song was nominated for CMA Song of the Year and earned its RIAA Gold certification for more than 500,000 sales and on-demand stream units. IF YOU WOULD LIKE TO SIT WITH FRIENDS AS A GROUP, THE TICKETS MUST BE PURCHASED TOGETHER. Seating will be assigned prior to the event and changes cannot be made the evening of the concert. Annual WinterFest At Mill Dam Corner Grille! It's the Annual Party of the Year for WinterFest at Mill Dam! Open at 7am for a Breakfast Buffet or Breakfast to order! All day! Bloody Mary/Mimosa bar! Chili dog bar! DJ Candace spins your favorite tunes all day. Follow the Buckeye Vodka Party Bus around Buckeye Lake at 10am! Wear your funny hats and such! Come party with Ricki, Billie Jo, Cortney, Jeff, Kelly, Barbara, Trena, Mindy, Chase, Wilma, Heather, Amy, Carrie, Heather Barber & the Dam Fun Gang! Buckeye Lake Winterfest 2019 will be held Friday January 25 (now with per-events! ), Saturday January 26 and Sunday January 27. 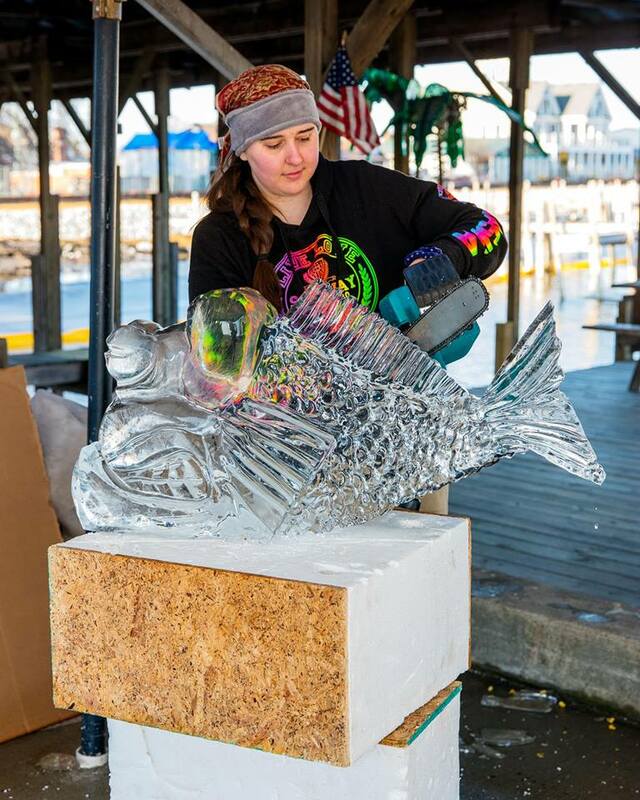 Each year, Winterfest officially begins at dawn with the Benny the Bass - a live fish - who will either take the bait or not, predicting the coming of Spring, much like Groundhog’s Day. 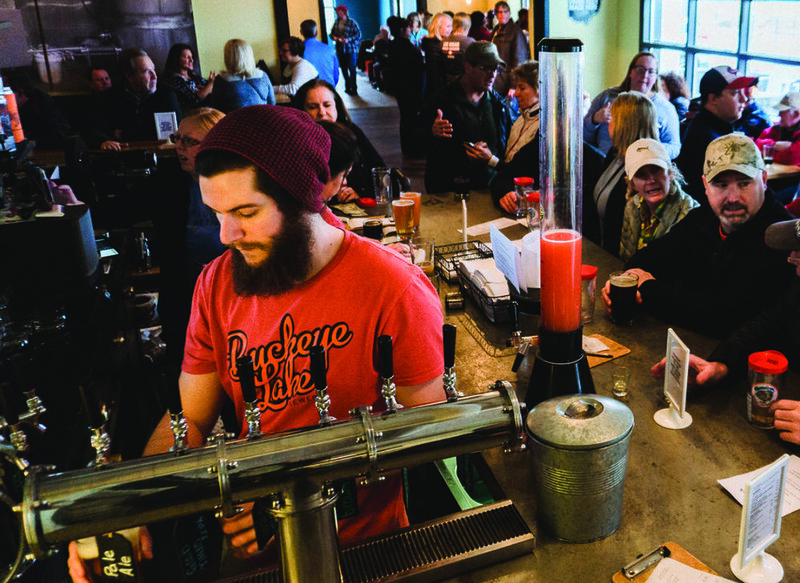 After early morning music and fireworks over Buckeye Lake at the kickoff to the event, festival goers are encouraged to travel around the lake to the many venues taking part in the region’s largest winter community celebration. We hope you come and enjoy the fun and find your way back to your favorite spots again another time! Everyone is welcome and encouraged to attend this Community Meeting to learn more about what’s going on around the Buckeye Lake Region and hear updates on the latest activities of BL2036 and the Buckeye Lake Region Corporation. Power Point presentation, committee reports and a “question & answer period”. 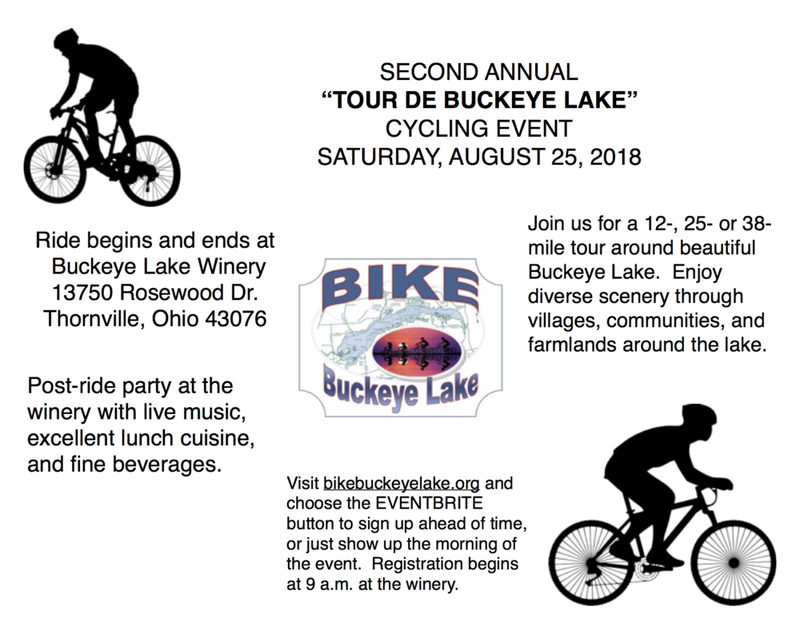 For more information contact Mike at Mfornataro@Buckeyelake2030.org. 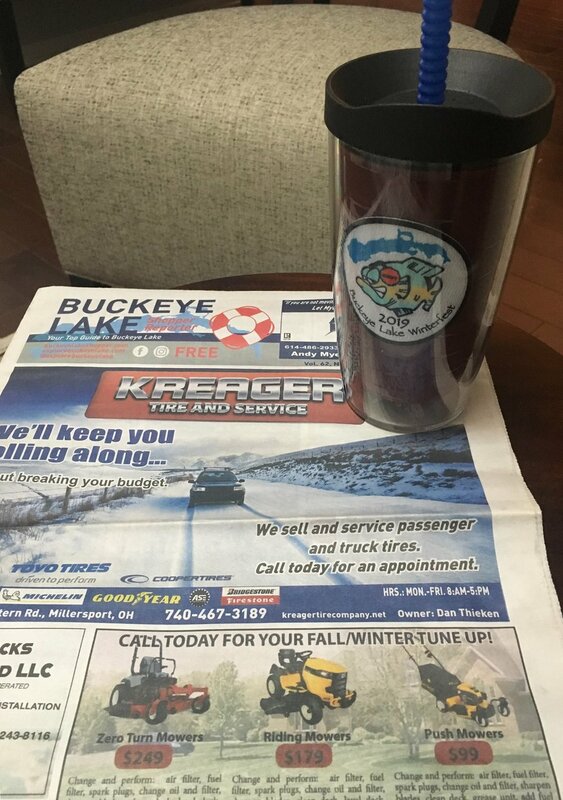 Don't wait to get your 2019 Benny the Bass Winterfest Tumbler...get drink specials and discounts at lake area businesses during Buckeye Lake Winterfest with your commemorative beverage sippers. Join Hairy George & The Usual Suspects as we EXPLORE BUCKEYE LAKE! Hairy and the crew will be out exploring and broadcasting from around the lake. back to Mill Dam for band! See more from Papa Boo's HERE! Due to construction on the dam, the fireworks and prognostication by Benny the Bass have been moved. The opening ceremonies will take place at the Buckeye Lake Village Hall parking lot at 6:30 A.M. Following the prognostication by Benny, there will be fireworks over the Lake set off from Fairfield Beach. So far we have 23 businesses participating as stops. New this year to the Tour are Beach House Pub, Buckeye Lake Library, Buckeye Lake Marina, Coconis Furniture, Lucky's Lakeside Pub, Louie's Corner House, Mill Dam Corner Grille, and One Man's Treasure. Returning to our Winterfest Tour are Pizza Cottage, Buckeye Lake Brewery, Buckeye Lake Yacht Club, Barrel Bar, Island House, Copper Penny, Buckeye Lake Winery, The Port, Fisher's Marina, Harbor Hills Country Club, VFW, Feeder Creek, Thai Paradise, Lake's End, and Wall to Wall Floors. Be sure to stop at these businesses on January 27th. A list of participating businesses and what they are doing that day can be found on the Buckeye Lake Chamber Winterfest page. It is updated frequently, so check back often! Some businesses also have activities on Friday night too. Then head to the Buckeye Lake Winery on Sunday for the Polar Bear Plunge. 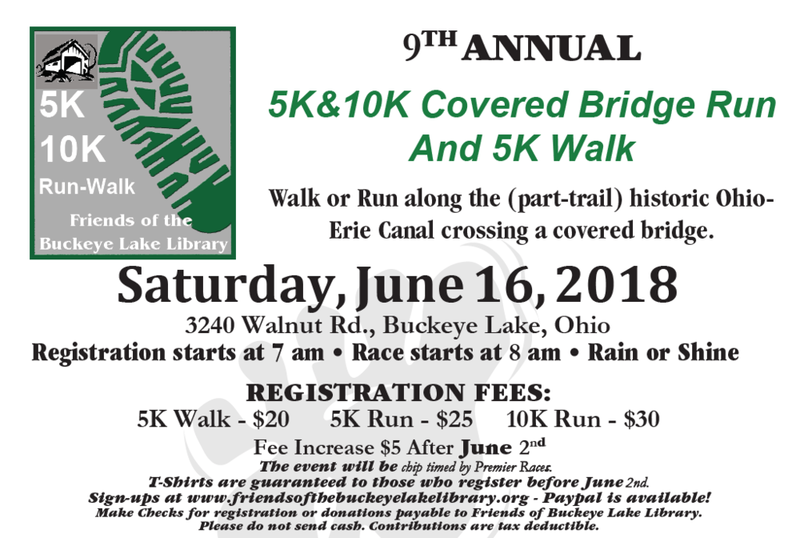 If you have any questions about the event or how to register, please contact the Buckeye Lake Region Chamber of Commerce at buckeyelakeregioncc@gmail.com. Thank you for your attention and response, we look forward to seeing you at Winterfest!